Abstract: ZY3-02 is the first satellite equipped with a laser altimeter for earth observation in China.This laser altimeter is an experimental payload for land elevation measurement experiment. The ranging and pointing bias of the laser altimeter would change due to the launch vibration, the space environment difference or other factors, and that could bring plane and elevation errors of laser altimeter. 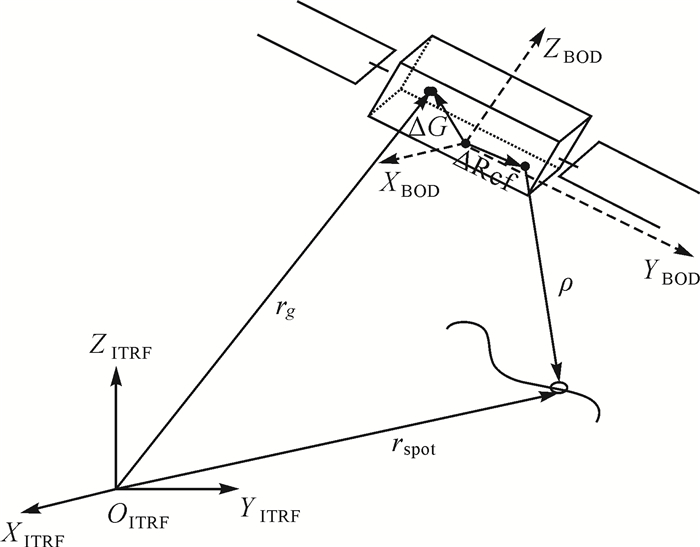 In this paper, we propose an on-orbit geometric calibration method using a ground-based electro-optical detection system based on the analysis of ZY3-02 laser altimeter characteristic, and this method constructs the rigorous geometric calibration model, which consider the pointing and ranging bias as unknown systematic errors, and the unknown parameters are calibrated with laser spot's location captured by laser detectors and the minimum ranging error principle. With the ALOS-DSM data as reference, the elevation accuracy of the laser altimeter can be improved from 100~150 meters before calibration to 2~3 meters after calibration when the terrain slope is less than 2 degree. With several ground control points obtained with RTK in laser footprint for validation, the absolute elevation precision of laser altimeter in the flat area can reach about 1 meter after the calibration. The test results demonstrated the effectiveness and feasibility of the proposed method. 李松. 星载激光测高仪发展现状综述[J]. 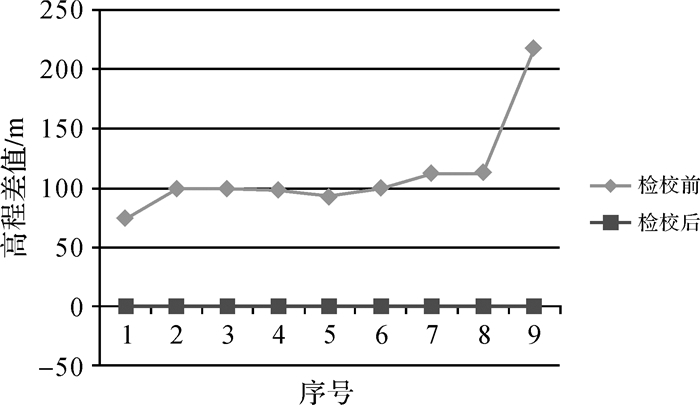 光学与光电技术, 2004, 2(6): 4–6. LI Song. Recent Progress of Spaceborne Laser Altimeter System[J]. Optics & Optoelectronic Technology, 2004, 2(6): 4–6. GLAS Instrument Team.Geoscience laser altimeter system preliminary design review[Z]. NASA Goddard Space Flight Center, 1998(2): 12-14. 许春晓, 周峰. 星载激光遥感技术的发展及应用[J]. 航天返回与遥感, 2009, 30(4): 26–31. XU Chunxiao, ZHOU Feng. Development and Applications of Space-borne Laser Remote Sensing Technology[J]. Spacecraft Recovery & Remote Sensing, 2009, 30(4): 26–31. 徐代升, 黄庚华, 舒嵘, 等. 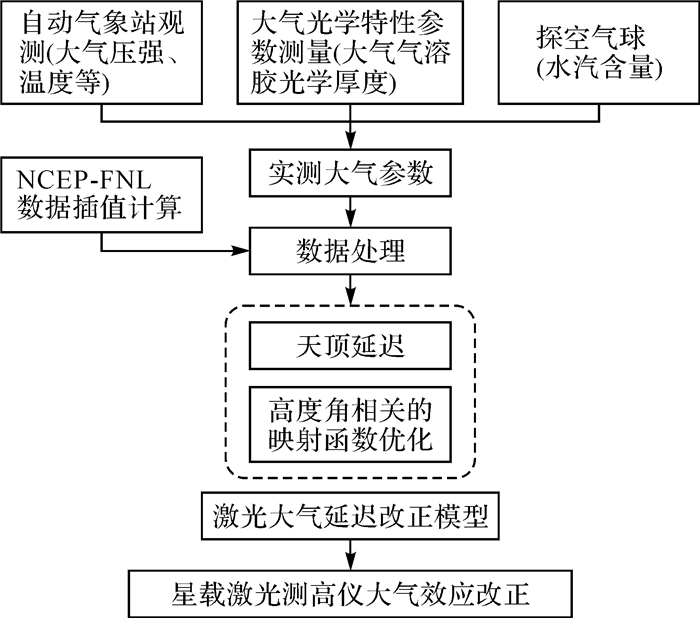 星载激光高度计综合性能分析[J]. 红外, 2005(1): 1–8. XU Daisheng, HUANG Genghua, SHU Rong, et al. Comprehensive Aerformance Analysis of Space-borne Laser Altimeter[J]. Infrared, 2005(1): 1–8. 王建宇, 舒嵘, 陈卫标, 等. 嫦娥一号卫星载激光高度计[J]. 中国科学:物理学力学天文学, 2010, 53(10): 1914–1920. WANG Jianyu, SHU Rong, CHEN Weibiao, et al. Laser altimeter of CE-1 payloads system[J]. 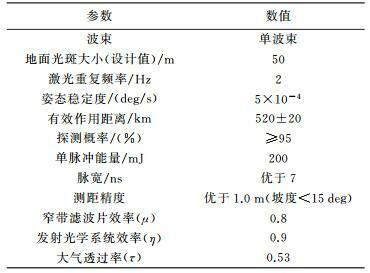 Science China Physics, Mechanics and Astronomy, 2010, 53(10): 1914–1920. 李德仁. 我国第一颗民用三线阵立体测图卫星——资源三号测绘卫星[J]. 测绘学报, 2012, 41(3): 317–322. LI Deren. China's First Civilian Three-line-array Stereo Mapping Satellite: ZY-3[J]. Acta Geodaetica et Cartographica Sinica, 2012, 41(3): 317–322. 唐新明, 张过, 祝小勇, 等. 资源三号测绘卫星三线阵成像几何模型构建与精度初步验证[J]. 测绘学报, 2012, 41(2): 191–198. TANG Xinming, ZHANG Guo, ZHU Xiaoyong, et al. Triple Linear-array Imaging Geometry Model of ZiYuan-3 Surveying Satellite and its Validation[J]. Acta Geodaetica et Cartographica Sinica, 2012, 41(2): 191–198. 蒋永华, 张过, 唐新明, 等. 资源三号测绘卫星三线阵影像高精度几何检校[J]. 测绘学报, 2013, 42(4): 523–529, 553. JIANG Yonghua, ZHANG Guo, TANG Xinming, et al. High Accuracy Geometric Calibration of ZY-3 Three-Line Image[J]. Acta Geodaetica et Cartographica Sinica, 2013, 42(4): 523–529, 553. LUTHCKE S B, ROWLANDS D D, WILLIAMS T A, et al. Reduction of ICESat systematic geolocation errors and the impact on ice sheet elevation change detection[J]. Geophysical Research Letters, 2005, 32(21): L21S05. SCHUTZ B E, ZWALLY H J, SHUMAN C A, et al. Overview of the ICESat Mission[J]. Geophysical Research Letters, 2005, 32(21): L21S01. MAGRUDER L, SILVERBERG E, WEBB C, et al. In Situ Timing and Pointing Verification of the ICESat Altimeter Using a Ground-Based System[J]. Geophysical Research Letters, 2005, 32(21): L21S04. SCHUTZ B E. GLAS Altimeter Post-Launch Calibration/Validation Plan, Version 1.0[M].Austin, TX: Center for Space Research, The University of Texas at Austin, 2001. MARTIN C F, THOMAS R H, KRABILL W B, et al. ICESat Range and Mounting Bias Estimation Over Precisely-Surveyed Terrain[J]. Geophysical Research Letters, 2005, 32(21): L21S07. 马跃, 阳凡林, 易洪, 等. 对地观测星载激光测高仪在轨姿态系统误差检校方法[J]. 红外与激光工程, 2015, 44(8): 2401–2405. MA Yue, YANG Fanlin, YI Hong, et al. Calibration Method of On-orbit Attitude Systematic Error for Space-Borne Laser Altimeter of Earth Observation[J]. Infrared and Laser Engineering, 2015, 44(8): 2401–2405. HARDING D J, CARABAJAL C C. ICESat waveform measurements of within-footprint topographic relief and vegetation vertical structure[J]. Geophysical Research Letters, 2005, 32(21): L21S10. 杜小平, 郭华东, 范湘涛, 等. 基于ICESat/GLAS数据的中国典型区域SRTM与ASTER GDEM高程精度评价[J]. 地球科学—中国地质大学学报, 2013, 38(4): 887–897. DU Xiaoping, GUO Huadong, FAN Xiangtao, et al. Vertical Accuracy Assessment of SRTM and ASTER GDEM over Typical Regions of China Using ICESat/GLAS[J]. 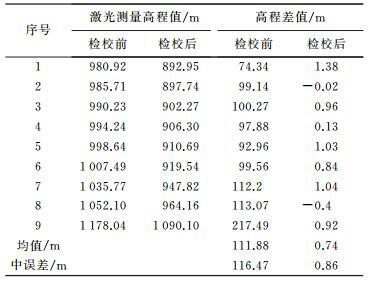 Earth Science—Journal of China University of Geosciences, 2013, 38(4): 887–897. 陈俊勇. 对SRTM3和GTOPO30地形数据质量的评估[J]. 武汉大学学报(信息科学版), 2005, 30(11): 941–944. CHEN Junyong. Quality Evaluation of Topographic Data from SRTM3 and GTOPO30[J]. 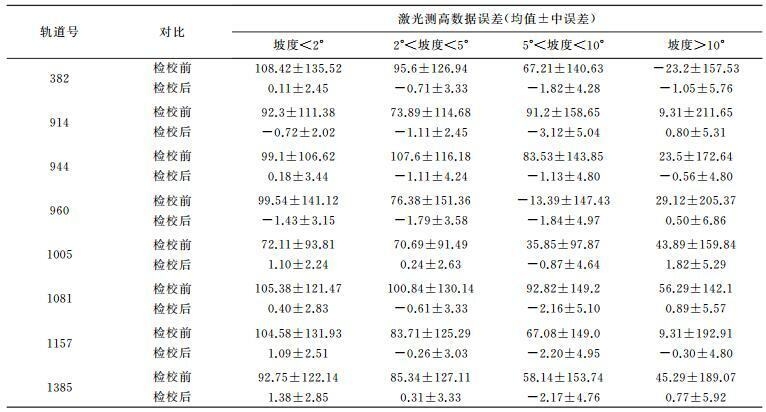 Geomatics and Information Science of Wuhan University, 2005, 30(11): 941–944. TAKAKU J, TADONO T, TSUTSUI K. Generation of High Resolution Global DSM from ALOS PRISM[J]. International Society for Photogrammetry and Remote Sensing, 2014, XL-4: 243–248. TADONO T, ISHIDA H, ODA F, et al. Precise Global DEM Generation by ALOS PRISM[C]//ISPRS Annals of the Photogrammetry, Remote Sensing and Spatial Information Sciences. Suzhou, China: ISPRS, 2014, Ⅱ-4: 71-76.